Being a writer by profession is an incredibly public thing to do. Our work will inevitably be distributed and read by extended audiences that we may never meet. With the opportunity of self-publishing thriving, more and more writers have emerged and there is now a saturation of content. More than just asking ourselves how to produce great quality work, we now have to face the question of how to stand out among the crowd as well. To do this, one of the most significant attributes to have is confidence. Confidence helps us stay focused about our writing paths regardless of the amount of competition that is in the industry. Confidence also keeps us motivated to write and write some more regardless of whether our work is labelled successes or failures. Here are a few simple ways to help writers boost that confidence. Though it sounds cliche, it makes the saying no less true: writing is a learning process. The more we write, the more we will learn about language itself and about the topics we are writing about. For example, if you’re writing about a character in your novel, re-writing the dialogues and revising the plot lines helps you to think more critically about that character and their situation. Writing and re-writing forces you to make connections between ideas and self-expression. Consequently, the output of repetitive writing practice allows you to create more established thought processes for your next piece of work. In this way too, your confidence will be boosted. The equation of becoming a better writer is simple. We must read and we must write. But to do this well, it is important to maintain a teachable perspective. As easy as it is for others to read your writing, so will you of others. With no shortage of readily available reading material for us online, it’s become even easier to learn about writing on a more dynamic scale. People are made up of different stories and their own unique experiences. Consider it a privilege to have incredible amounts of reading material at the tip of your fingers. Reading with a teachable perspective, though, makes a distinction between reading for enjoyment and reading to learn. Try not to spend too much time comparing, it will only disappoint you as you realise that there will always be someone out there who writes better or has found greater success. When you read to learn, however, you give yourself potential to discover new ideas, more patterns of writing, new vocabulary and so on. This will help your confidence. Rarely do writers find success overnight. The potential for an incredibly long process of trying, before your work gets recognised or published, can be confidence crushing. One way to avoid this is to celebrate the little victories, because success is essentially made of milestones. Milestones, like getting your articles published online, building your market of influence, extending your network of contacts and gaining inspiration for new ideas, are all included. Even through these victories, you’ll be able to learn more about the writing industry, how to build your writing career and even who to go to when you need help. These little victories will boost your confidence as you know that you’re gaining achievements that’ll help you in the future. Everyone makes mistakes. However, when we understand the learning process of becoming a better writer, we begin to appreciate the mistakes we make. It’s through our mistakes that we discover what we can improve on in our work. Responding with determination and an active spirit for learning, rather than self-degradation, is a much healthier way of dealing with mistakes and failures. Confidence is a contagious spirit, but so is doubt. It’s crucial that you assess the type of environment you can allow yourself to thrive in. Ask yourself: is it one that provides opportunities for you to flourish confidently? Having a community that encourages and inspires your writing processes may be the only thing that is standing in your way of having some inner writer confidence. More than that, having a trusted writers’ community will put you in a place where you can bounce ideas off each other, get feedback and even, discover ways to overcome challenges specific to a writers’ world. Writing itself may be something you do alone. However, in preparing for it, ensure that positive energy fuels your writer-mind and places you back into a confident space. Finally, criticism is a gateway to a steep learning curve. As noted before, it’s through criticism that we find out more about what we can make improvements on. At the same time, it’s also through criticism that we see where our strengths lie. But before you take the criticism too seriously, it’s important to know where your criticism is coming from. In a digital era, anyone can scrutinise your work and publish harsh comments that may or may not be relevant. It’s easy to have low confidence because of this. After all, hearing negative views about work you’ve poured your heart and soul into can be hurtful. Furthermore, you must understand who is criticising you. Are they people you can trust? Are they people whom you respect? Do they want the best for you? Are they offering constructive feedback or just being nasty? Asking these questions can definitely point us in a better direction on who to trust without sabotaging our writing careers. Some criticism might be worth taking with a pinch of salt. And some can be dismissed altogether. All in all, keep an open mind, and try to let your confidence flourish through all criticism, mistakes and little victories. Stay positive, and surround yourself with people who will support you and your writing. Before you jump in the deep end and start writing a novel, there are a few things you should know. This one seems obvious, but you’d be surprised at how many authors launch straight into writing before knowing the basics. The premise of your story, is the core of it – the skeleton that runs throughout the whole thing. When someone asks you what your book is about, the premise is what you’ll give them. More often than not, if you begin writing without a premise, chances are that your story will have trouble going anywhere. For example, this author began writing a novel, knowing the character and his physical journey, but unsure as to what the basic concept of her book was. In 9 months, she struggled to write a measly 13,200 words. By contrast, she then began writing a new novel which had originally been a short story. Knowing the premise this time, in 4 months she wrote 60,000 words and finished the first draft. Again, this sounds like an obvious one. Some writers find it easier to set their fiction in a real place, have a character with a similar occupation or family situation… things they’re familiar with. If this is you, that’s great. What I will say is: be careful you don’t omit details accidentally. When you know a setting, a job or a person very well, it’s easy to forget that your reader doesn’t. To those who are creating from scratch, that’s great too. Is your main character a doctor? An air-hostess? Is your novel set in South Africa? Italy? Russia? Whatever your main character does and wherever they are, know the facts, at least the basics. What does their job entail? Long hours? Mundane tasks? Risk? Who do they work with? How long have they been in their position? Are they happy there? Do they earn a lot? These things won’t necessarily make it onto the actual page, but these factors affect a person’s nature, how they behave, how they live… The same goes for the setting you place them in… Do they have electricity? Do they live above a nightclub? Is their living space small or spacious? Try and learn everything you can about your characters before you start writing. Naturally, once you get your story going, you’ll learn more and more about them, however it’s always super helpful to know the basics of who they are, what they do, etc., beforehand. Jot down a profile about each of your main characters including details about their: name, physical appearance, age, which characters they get along with and their relationship, where they live, do they have children? A partner? Do they have any particular mannerisms or quirks? Decide where you want to draw the line with how much you need to know before you start, and how much you learn along the way. There are plenty of character profile templates available online for free that can be a great help. Click here to see one such example of a useful profile. Although it’s quite long and detailed, it does prompt you to think outside the box. In conclusion, starting a novel is a huge undertaking and a massive achievement in itself, but sometimes, it helps to have something small, pointing you in the right direction. I hope this little checklist has done that. 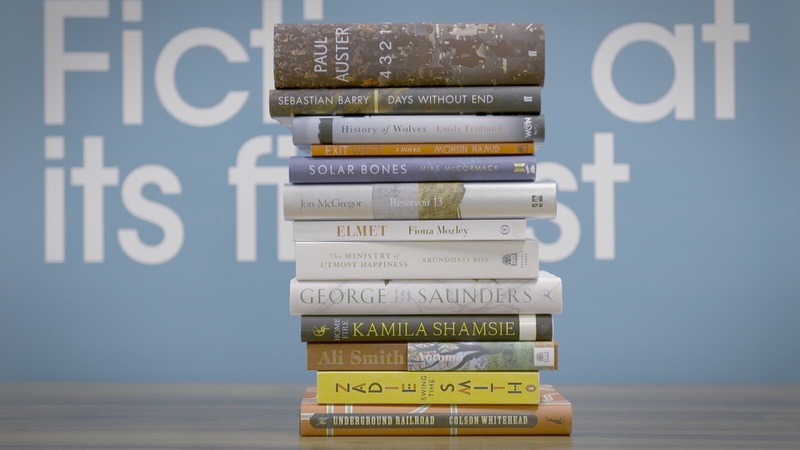 The longlist, or ‘Man Booker Dozen’, for the £50,000 Man Booker Prize has been announced. Today on Writer’s Blog, I want to share a fantastic article from Words Away on what she learnt at a Word Factory event. I found the whole thing really informative and valuable for my writing, and I hope you will too. How do you work out if your idea is a short story or a novel? You begin writing in one form only to discover that your work has mutated into something else entirely. I attended an excellent masterclass recently, Where The Narrative Leads, with Louise Doughty, run by the Word Factory. Who better to help you work out if your idea can go the distance or is destined to crystallise into a short story than with an award-winning novelist, screenwriter and short story writer? Tucked away in the basement of Waterstones Piccadilly, Louise chatted about her writing process, touching on the main aspects of plot and narrative structure. There was lots of opportunity to ask questions and do some exercises to apply to our own writing. Who knows where the origin of a story comes from – something grabs the imagination and grows. Two of Louise’s novels, Apple Tree Yard and Black Water, were each inspired by an image of a single character in a situation and started as short story ideas. So why did those short stories turn into a novel? According to Louise there are two elements at work, the first being your character; Look at their biography. If, as Paul Klee suggested, ‘drawing is taking a line for a walk’ why not take your character for a walk. Ask questions of your character; what age are they? What year is the scene set? Interrogate history and events. Play around with what you find. When something starts bothering you – that could be your idea. Anything that feels ‘noteworthy’, find a way to get it in to your story. Join the dots and make connections. Secondly, scrutinise the world in which the character finds themselves; While on a visit to Bali and gripped by jet lag, Louise was seized by an image of a man mortally afraid and lying awake in a hut, listening to rain on the roof. She didn’t know anything about Indonesia or it’s history but set about finding out. Your own ignorance can be a driver more than the stuff you know about. Don’t be stymied by research; if it interests you it will interest the reader. Go and visit your novel – if possible. Walk it out. There’s no substitute for going on location. A pragmatic decision can become a thematic one. Find your way around the limits of your knowledge. One of the most interesting parts of the evening was looking at the formal principals behind narrative structure. According to the filmmaker, Jean-Luc Godard, ‘All stories should have a beginning, middle, and an end, but not necessarily in that order.’ Referring to the Screenwriter’s Workbook by Syd Field, Louise suggested adapting a few screenwriters tricks to help structure your novel. There was a hand out with a diagram dividing the story into quarters, with a set-up, a mid point and a resolution. Three ‘plot points’ divided the narrative. A plot point takes the course of the narrative, turns it around and spins it in another direction. There’s no going back from this experience. A plot point is not an event that happens but rather when something has impacted on the character’s life to cause irrevocable change. It does not have to be large or dramatic. The point is change. I loved hearing about Louise’s intuitive approach to writing which she described as a chaotic ‘jigsaw method’ and heartened to learn she writes without worrying too much about outcome. Inspired by an image or a subject she gets up and writes whatever comes into her head that day. Herein lies the joy! Researching along the way, she writes scenes, generates loads of material and leaves gaps as she writes. She’ll go back and fill those in later. She described the physical process of printing out the scenes, then laying it all out on the kitchen table or floor. She looks for her corner scenes, picks out the edges and what might be the beginning or end. She maps it all out into piles of three or four and from this she has a working draft. If overwhelmed she simplifies the story, cutting scenes ruthlessly. If you’ve never been to a Word factory event, I urge you to go. The guest authors are brilliant if not legendary and, whether you’re a beginner or seasoned scribe, the atmosphere is welcoming and writer friendly. If you’d like a flavour of previous masterclasses click here to read about a couple with Neil Gaiman and Tessa Hadley. It was a great evening with thanks to Louise Doughty, Cathy Galvin and the Word Factory team. I’ve scarpered back to my writing cave to see if I can put some of what I’ve learned into my own writing. Let’s see what the summer brings. In some ways, book-lovers are just like ordinary people. We do things like talk and walk around and eat bread. But hang around a true book-lover for long enough, and you’ll start to notice a few key differences. For example, where a normal pedestrian might spend their money on rent or food, a book-lover prefers to live in a large cardboard box surround entirely by hardcovers. Book-lovers will frequently claim to be “bummed” that they can’t make it to your boyfriend’s cover band competition, when in fact they are quite content to stay home and read. There are also a few hidden talents that all book-lovers possess, so here are several things that book-lovers do better than anyone else. Of course, book-lovers tend to keep their secret superpowers pretty quiet most of the time. We’re not going around bragging about our ability to find 99p paperbacks within a five mile radius of any given location. We’re not trying to make other people feel bad, just because we’re better at eating spaghetti while reading without getting sauce on the pages. And we’d definitely never let anyone know how good we at rereading the same book over and over again without ever getting bored. Even if we like the film adaptation, most book-lovers take intense mental (or literal) notes on every scene, character, and line of dialogue that’s different. We might forget birthdays and keys, but we remember every Ron line that was inexplicably given to Hermione in the movie. Same goes for TV shows. Don’t watch Game of Thrones with me unless you want to hear my lengthy feelings about the changes to the Dorne plot line. If the book is good enough, book-lovers have the ability to go for long periods of time without food, sleep, or social interaction. All we need is a flashlight and a novel, and we’re happy until dawn. We might not be great at showing up to work on time the next morning, but we don’t let a little thing like sleep deprivation get in the way of reading. So what if we miss a stop every once in a while? Book-lovers are excellent at shutting out the so-called “real world.” We might prefer peace and quiet, but in a pinch we can read just about anywhere (which also makes us excellent at avoiding eye contact with strangers). What some people consider a loose pile of pages, we consider a beloved member of the family. Some book-lovers are more precious with their books than others, but all book-lovers are naturally gifted at nursing damaged and “well-loved” books through multiple re-reads. Tape is a book-lover’s best friend. Even when book-lovers aren’t actively reading, we have some pretty finely-tuned imaginations. It’s hard to read a lot without becoming a thoughtful, creative person in the process. Especially for fiction junkies, all that literature gives your mind the fuel it needs to stare dreamily out the window on a rainy day, or to spend a calculus lecture thinking deeply about being married to Mr. Darcy. Some book-lovers are strictly one-book-at-a-time readers… but most of us have developed a talent for jumping from plot to plot without skipping a beat. We’ve go our ongoing re-reads, our book club reads, our new releases in hardcover, and our pocket sized paperbacks, for when you don’t want to carry a big bag. And we can tell you exactly what’s going on in all of them. Of course, book-lovers prefer to read in a cozy chair or on a picturesque park bench under a cherry tree. But we make do. We’re all excellent at balancing books while eating, cooking, exercising, brushing our teeth, and doing all those other inconvenient things we frequently have to do when we’re right in the middle of a great chapter. Sometimes it’s frustrating to be a book-lover. You just want to explain how Shakespeare, or George R.R. Martin, or Chimamanda Ngozi Adichie perfectly encapsulates all of your feelings about a particular political issue, but other people don’t seem to get it. That’s OK, book-lovers. Your ability to see how literature reflects real life and visa versa is actually a skill, and you’re not nuts to think that books might help you better understand the real world. Fiction does make you more empathetic, after all. Readers just have sixth sense for finding cozy reading spots. Everywhere we go, we’re low-key checking out coffee shops, parks, and window seats for maximum reading coziness. Add a cup of tea and a purring cat, and we have engineered peak reading comfort. Walking and reading is an activity that should only be attempted by veteran book-lovers. But for those elite few, walking and reading is as natural as walking and talking. Just make sure you look both ways at the crossroad, if you’re planning to try this one at home. Not every book-lover has to be an aspiring author themselves. But most readers just tend to be better writers: whether it’s writing a story, a blog, or a text message, readers have an innate sense of language, imagery, and where to put commas. OK, so this one may not be a talent per say… but book-lovers most certainly do it better than anyone else. Literary crushes are intoxicating, because the reader has total control over imagining what their dream date looks like, how they wear their hair, how they smell, and so on. Step aside, people crushing on TV characters. Look, we go to the library. We borrow books from our friends. We prowl the used bookstore. But sometimes you just need to shell out for a new release, and that’s where book-lovers become budgeting experts. We’ll gladly sacrifice eating out, fancy cocktails, and possibly electricity if we can get our hands on that shiny new hardcover. Those shelves fill up quickly, man. And then we’ve got to get creative. Any book-lover knows the struggle of trying to fit an infinite number of books into a finite amount of space. Luckily, most of us are brilliant when it comes to stashing books under the bed, in the unused oven, and behind the books that are already on the shelf (double-shelving, anyone?). Well, duh. But some book-lovers don’t realize just how good they are at reading. Reading is a skill. Understanding what you read, rather than just skimming, is an art. Not everyone is good at translating squiggles on a page into thrilling adventures and sweeping romance. A book is really only as good as the reader’s imagination, and book-lovers are pretty great when it comes to imagining.